Dec 07, 2018 in "Candlelight Processional"
Disney has today announced a change to the narrator line-up for the 2018 Candlelight Processional, part of the Epcot International Festival of the Holidays. Joey Fatone will be replacing Edward James Olmos on December 24 and 25. 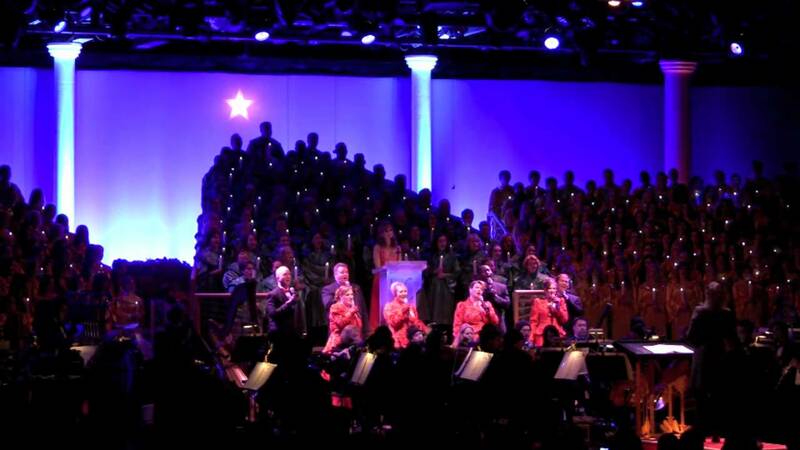 The Candlelight Processional presents the traditional story of Christmas with a 50-piece orchestra, a massed choir and a celebrity narrator. The processional is performed three times per night (5:00, 6:45 and 8:15 p.m.) during the holiday season at the America Gardens Theatre. Candlelight Processional Dining Packages which include a meal at a restaurant and a guaranteed seat for one of the Candlelight Processional performances.